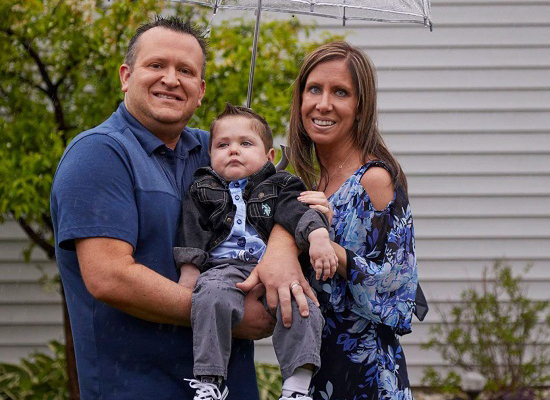 After her son, Nixon, was diagnosed with a rare, fatal disease, Kristin Skenderi started blogging and sending her family and friends regular email updates about his condition. “I wanted Nixon one day to know what he went through,” Kristin recalled. Her blog posts, emails and journal entries were the early drafts of what was to become a book detailing the Skenderi family’s experiences treating Nixon’s disease and the lessons they’ve learned. 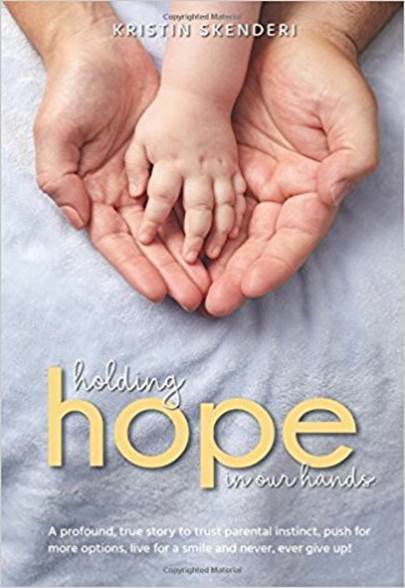 “Holding Hope in Our Hands,” was published in September and launched last month. Nixon was born without an enzyme that helps the brain develop, Kristin explained. At just a few months old, he was diagnosed with Gaucher Disease Type 2, which hindered his breathing, swallowing and neurological development and enlarged many of his organs. Doctors said he likely wouldn’t live past 3 years old. Kristin said the devastating news put her in survival mode and she began a quest to research every treatment option available. Nixon later received a stem cell transplant and has also benefited from acupuncture, equestrian therapy and hyperbaric oxygen therapy to reduce or stave off some of the effects of his disease, Kristin said. On Nov. 1, Nixon turned 4 during a trip to Disneyworld through the Make-A-Wish Program. It was the first birthday he was able to spend outside of the hospital. Kristin’s book details each step of their journey to help Nixon progress to where he is today. She credits the University of Illinois at Chicago’s Division of Specialized Care for Children (DSCC) with providing the support her family needed so she could have time to research treatment and therapy options for Nixon and write about their experiences. Nixon is enrolled in the Home Care Program, which DSCC operates on behalf of the Illinois Department of Healthcare and Family Services. The Home Care Program allows youth who require skilled in-home nursing to remain in their family home rather than a hospital or skilled nursing facility. “The things (DSCC) can offer and help us with – it’s been huge,” Kristin said. DSCC arranged for the installation of new electrical outlets in the Skenderi’s home to handle Nixon’s medical equipment. DSCC also covered the cost for an exterminator as well as a wheelchair ramp for the family’s home. You can learn more about Nixon and his family’s journey on their Facebook page. “If this book helps the average, regular person look at life a little bit differently, or I can find that one family who was ever put in a situation like ours and give them courage to fight a little harder, then this book was 100 percent worth it,” Kristin said.